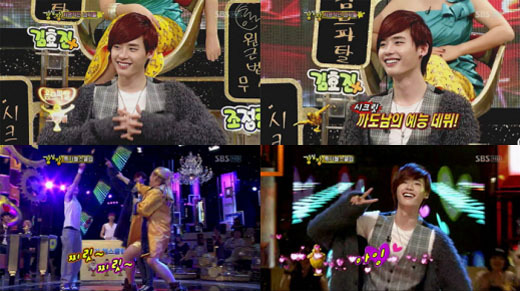 On the February 15th episode of “Strong Heart“, the charismatic actor revealed his cute dancing skills, surprising everyone with his charms. Switching from shy smiles to great grins, the actor delivered a variety of dances, but killed the crowd with his “Aegyo dance” from Orange Caramel’s famous song. It’s said that the audience squealed with delight at his captivating performance. After the episode aired, viewers flocked to the internet, posting comments such as “Where on earth have you come from? Your lovable and shy expressions are all so cute“, “My heart melted at your dance“, “My sleepiness was completely taken away after I saw the adorable dance“. 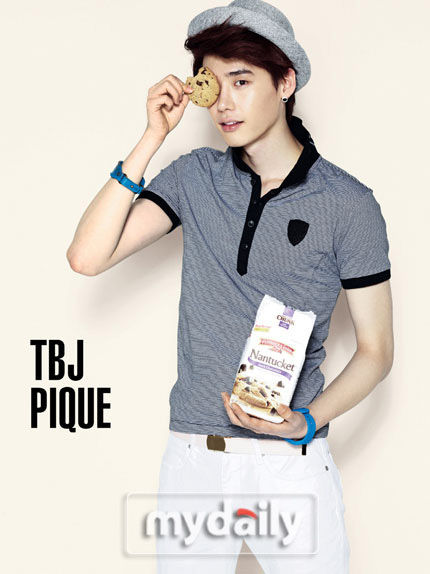 Secret Garden’s hottie, Lee Jong Suk, returned to his model roots recently by having a photo shoot for casual brand TBJ’s 2011 S/S photoshoot. waiting for his girlfriend, and winking while holding a cookie. you? !“, “Whatever he wears and however he poses, I can do nothing but praise him“. The actor has received much love by playing the musical genius ‘Sun‘ in ‘Secret Garden’, and has recently been cast in the movie, ‘Red Muffler‘.